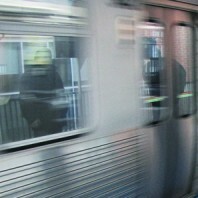 Been listing to CTA rail channels and I have wondered what on sight operations are? Rail control puts out this announcement every time work is being done on the tracks a major event is letting out at Wrigley, what is on sight operations? Thanks. As far as I know, it means they aren't using the cab signals in the motorman's cab. The motorman just uses his/her eyes to slow down or stop as necessary. How do you listen to channels? Do you have a radio or use a website? My old website feed was trashed a year ago. Not an online scanner, an actual radio scanner and i don't stream it online. Signals or not, the operator must be alert for unusual activity on or near the right of way. This could be a drunk person staggering near the edge of the platform, workers and flagmen and being aware of cars trying to go around crossing gates, and other thing.